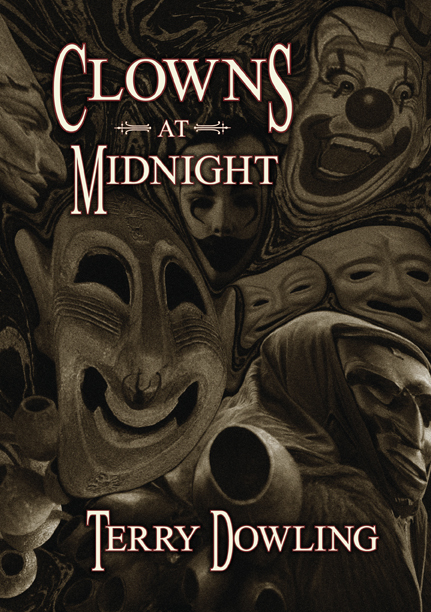 Thematically, the best way to understand Clowns at Midnight by Terry Dowling (PS Publishing, 2010) is to talk about another interesting writer. Although his output of fiction was modest, Russell Kirk managed to produce some particularly effective short stories and three fascinating novels. It’s not important to say much about Kirk here save that, as a US Conservative who espoused Libertarian instincts, he held that liberty is, at its heart, a version of ethics defining self-control. He believed all humans have selfish and expansive appetites but, through “liberty”, they may impose emotional order on themselves. Kirk is not unique, but unusual in that he used supernatural and horror stories as parables through which to explore his political philosophy. In his third novel, Lord of the Hollow Dark, Kirk characterises a diabolical version of Gnosticism in Mr. Apollinax. This man is the novel’s catalyst who preaches a hedonistic New Morality to a group of disciples as they stand at the mouth of a labyrinth. By journeying through this maze, they hope to fulfill their desires. The book is a dialogue between a Dionysian philosophy asserting the possibility of an Earthly paradise through pleasure, and Gnostic salvation for the individual. Yet the point of such salvation is not to stop at the level of the individual. It’s intended to become a form of rebirth for society as like-minded individuals are attracted to each other and, through their shared values, create a divine realm on Earth. Dowling is playing in a similar sandpit, thinking about how a Dionysian version of symbolism has informed beliefs and cultural practices from the beginning of time. 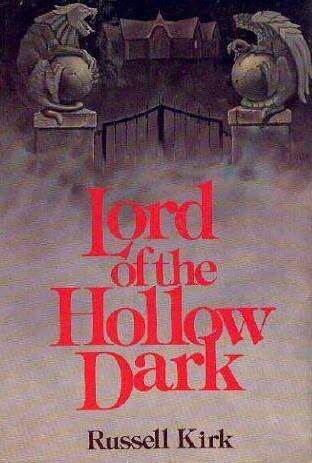 The parallel with Lord of the Hollow Dark comes in the use of the labyrinth or maze. The fascination in complex mazes lies in their potentially infinite nature. In theory, you could wander indefinitely, never able to find the way out and, in so doing, discover something important about yourself and your relationship to your environment. So, in Clowns at Midnight, we have two labyrinths. One is physical and located in the garden of Carlo and Raini Risi, second-generation Australians from Sardinia. The other is the mind of the protagonist, David Leeton. This is a classic unreliable narrator, a man desperately trying to work through the cognitive behavioural therapy lessons given to him as a means of coping with an intense phobia of clowns and associated imagery. It seems a perfect solution for Leeton to get away from the urban landscape where the randomness of the environment may throw a range of disturbing imagery his way. When offered a house-sitting opportunity in a more remote part of New South Wales, this seems to offer a safe harbour while he internalises the self-discipline to survive. Thus, as with Kirk, we have a man needing to transcend fear through control of his emotions. Yet, he is immediately pitched into situations in which his carefully structured defences are attacked by the things he fears the most. So, from the outset, we must play the game of deciding exactly what is real and what represents the product of his fevered imagination. What makes our navigation through the labyrinth interesting is Leeton’s internal dialogue as he attempts to be his own voice of reason, rationalising his fears, and hoping to find a better balance within himself. The symbolic thread guiding this search for reason starts with the owners of the house who, like Ariadne for Theseus, leave a copy of Mary Renault’s The Mask of Apollo on his bed. It symbolises the choice between the rule of disordered fears and a measured existence, between the wild abandon of a Bacchanalian celebration, and something altogether more profound in which the cycle of creation and recreation offers the choice to end and begin something new. I also note a resonance with the original The Wicker Man — I have not seen the remake — in which an island community sacrifices an innocent Christian to restore fertility. Dowling rejects this form of neopaganism. Although the resolution of the book must have elements of destruction, these should be steps to a new self taken with the consent of the one chosen, i.e. we are witnessing the destruction of the weaknesses that allow disordered fears to infect the mind, and the reincarnation of the old self as a person with new self-confidence and a positive expectation as to the future. Yet even this is uncertain. We come back to the notion of the unreliable narrator. Much or all of the “action” in this book could be the delusions of a man as he suffers a nervous breakdown. What he thinks he sees or hears inside the house could be simple paranoia amplifying his fears into nightmares. Or there could be genuine supernatural events testing the limits of his behavioural therapy defences. Or what happens could be an all-too-human conspiracy to push him over the edge into madness. People can and do torture themselves. We take this as proof of their irrationality. Similarly, supernatural forces need no reason to torment a human. But if this is the work of one or more humans, what could their motives be? Why should they wish to take a man already struggling with his own demons and undo all his good work to control them? Dowling manages to pull off a clever technical trick in putting this book together. He has to insert a significant amount of basic factual information about the history of Sardinia and of the use of masks in religion, the theatre, etc. Like Kirk, he must also rehearse some potentially heavy philosophical debates. This could make the tone of the text academic and boring. That he manages to create a real and mounting sense of menace is a tribute to an excellent storyteller on top form. The physical book is slightly unusual in having the jacket artwork by Nick Stathopoulos laminated on to the boards. I assume this means some copies were presold into the library trade and, rather than selling the unbound signatures, PS bound up the books to library specifications. Whatever the reason, it makes the book more interesting than the usual bland boards. Overall, this is a real thinking reader’s supernatural/psychological thriller, delivered in a pleasing physical package. Recommended. As an irrelevant aside since it does not affect the quality of the text, the book was the creative writing component to a doctoral degree in Creative Writing awarded to Terry Dowling by the University of Western Australia in 2006. Our thanks go to Peter Crowther at PS for finally allowing the text to see the light of day. For a review of a short story collection by Terry Dowling, see Amberjack.